The issue on Samsung Kies app, showing there is a device firmware update available for your Samsung Galaxy S5 but it is saying the Kies update service cannot update your device. In some instance, your device is showing an update but the update does not appear in Kies. 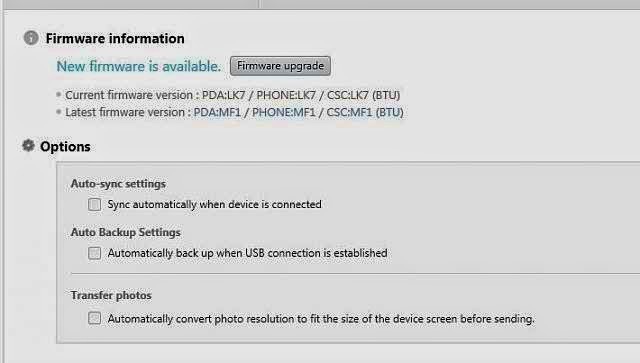 Some GS5 owners are prompted with an error message saying their device is supported by Kies, yet the Kies shows that the firmware updates are not supported on their device. Possible reason as to why you are getting these error prompts is that your device you are attempting to update may have a firmware update available but it is either not permitted to update through Kies or the device itself is not supported by the Kies update service, at that moment. As alternative option, please try to update your device using over-the-air (OTA). Touch Software Update to check for any firmware update available for your device. Some carriers would require your device to use an active SIM card to be able to connect to the carrier's wireless network so as to access the OTA update. 1. Attempt to use Kies again at a later time. Typically, supported devices are being added later. 2. Verify with your carrier if there are any other additional options available to you for firmware updates. 3. Call Samsung Support for additional update options for compatible with your device. Let us know if problem persists, so we can assist you further. You may reach us via email at: admin@sebertech.com or post your concerns on the comments section.